A pleasant purple acrylic resin with palladium-plated stainless steel make up this marvelous rollerball from Visconti's Vertigo collection. Its engaging design, with reflective plane surfaces that change perspective, are the result of the way its cap and body are manufactured. The brand name is proudly displayed on the clip. 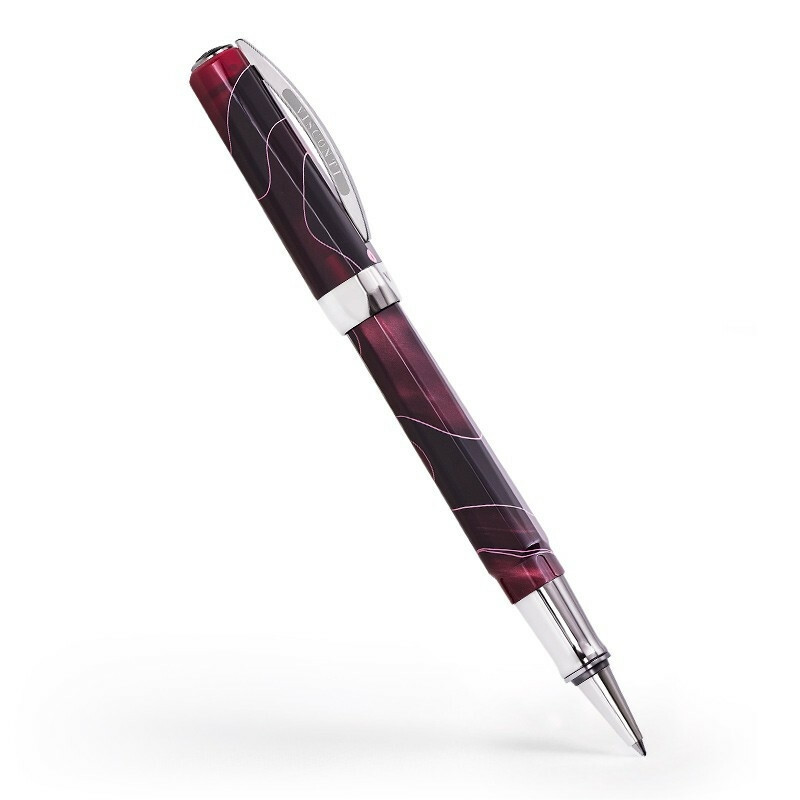 Write with confidence when you have a fine writing tool from Visconti!